- Please update to version 0.6.82 or later. You can download the NEM software at nem.io. 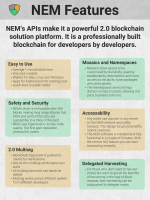 NEM has gone through extensive open alpha testing starting June 25, 2014, followed by lengthy and comprehensive beta testing starting on October 20, 2014. 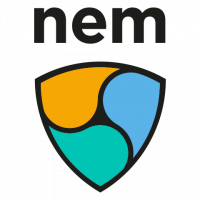 NEM finally launched on March 31, 2015. - NEM has customizable assets called Mosaics. Editable supply, levies, description, transferabillity and more. - NEM zero monetary inflation (fixed supply, all 9 billion coins released at launch). 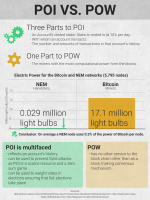 POI is the consensus algorithm used in NEM to determine who will calculate the next block. An account's importance is determined by how many coins it contains and the number of transactions made to and from that account. POI is different from other initiatives which use a fee-sharing model that does not take into consideration one's overall support of the network. In some proof-of-stake systems a person only needs to have large amounts of coins to form a block; however, in NEM the transaction amount as well as support of the network become a factor. This has been designed to encourage users of NEM to not simply hold NEM but instead actively carry out transactions within the NEM ecosystem. Or take a look at our tutorials. If you would like to contribute to the development of NEM, please contact the team via the NEM Forum or join Telegram.